"Notes From the Road: Adelaide #1"
Then he kick starts the show with Eddie Cochran’s paean to teenage rebellion, “Summertime Blues.” When it’s over Bruce spots a sign requesting Mitch Ryder’s “Detroit Medley” for fallen comrades Danny and Clarence and duly obliges. The song with its’ exhilarating components such as “Good Golly Miss Molly” and “CC Rider” conjures up the glorious spirit of rock and roll past. Without missing a beat Bruce then turns up the heat with an anthem of his own, “Badlands“. Next comes “My Love Will Not Let You Down“. 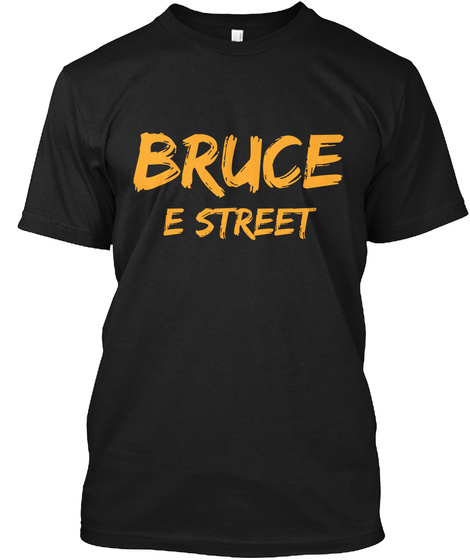 LA critic Robert Hilburn once said that only Bruce and the E Street Band could make a relative obscurity sound as rousing as the national anthem. As Bruce and Stevie trade licks at the foot of the stage Bruce looks over his right should and gestures for Tom, and then Nils, to join them. Playing in unison the riff morphs into sheer sonic bliss. The energy in the room maintains its’ upward trajectory as Bruce leads the band through new material, “High Hopes” and “Just Like Fire Would“. Then comes a four pack from the masterful Wrecking Ball album: “We Take Care Of Our Own“, the title track, “Death To My Hometown” and a still prescient “Jack Of All Trades“. It’s Bruce’s first time in Adelaide and the artist is prepared to dig deep. “Human Touch“, with its’ thunderous finale, is next: then comes “Spirit In The Night“. Bruce provides a hilarious preamble recalling days from his youth where he’d park with a girl by the lake and invariably drive home with ‘blue balls’. “Heaven’s Wall” is next and, to this reviewer at least, it’s a Springsteen modern classic. “Darkness On The Edge of Town” follows and then comes a stunning “Prove It All Night” (replete with the famed ’78 intro). Nils adds an incredible solo and then Bruce is singing the gospel with “Mary’s Place“. “This Is Your Sword” is played as a dedication to a service woman, while “Darlington County” provides people at the back of the venue with a chance to see Bruce up close. “The Ghost Of Tom Joad” was played with as much intent as ever, while “The Rising“, with its magnificent lyric, still brings the hair on the back of the neck to attention. With the main set over, Bruce and the band re-started their engines with a knock-down-drag-em-out cover of AC/DC’s “Highway To Hell“. Bon Scott lived in Adelaide when he joined AC/DC and such seminal Australian rock bands as Cold Chisel and the Angels cut their teeth here. The band then crashed into a thrilling “Born To Run” followed by “Ramrod” and “Dancing In The Dark” (where a fellow actually from Lillyhammer requested a ‘man dance’ with Steve). “Tenth Avenue Freeze Out” was next before Bruce asked if we’d had enough. The answer was a resounding ‘No’ and he called for ‘E-flat’. The resulting “Shout“, with the house lights up, took the roof off. As the song settled in for its final peak, Bruce called for his great friend, manager and ‘the man under the stairs’, Jon Landau, to grab a guitar and join him and E Street Band on stage. With the crowd behind him, Landau added the perfect amount of six-string muscle and panache to take the song into home run territory. As the band left the stage, you could have heard a pin drop as Bruce delivered a solo/acoustic, “If I Should Fall Behind“. “Thunder Road”, equally mesmerising, finished the night. ‘We’ll be back tomorrow night for another spectacular,’ said the artist Bruce and, on current form, it should be nothing less.